Netflix has introduced its long awaited streaming-only plan. Netflix VP of Marketing Jessie Becker today blogged on the site that the new plan would cost only $7.99 per month and will be streaming only with no DVDs by mail. Infact Netflix is raising its prices on all the DVD plans. Netflix said that its streaming TV and movies has grown and surpassed all expectations. The new prices for 1-DVD plan will go up by a dollar to $9.99 and the 2-DVD plan will cost you $14.99. You will be paying $19.99 3-DVD. Becker wrote, “You might also wonder why we haven’t introduced a new plan that includes only DVDs by mail”. Netflix’s streaming service started in 2007 but was always offered as an add on module rather than a feature by itself. 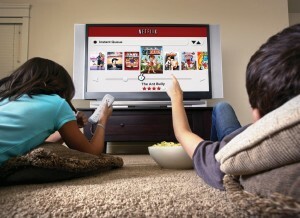 Netflix streaming is supported by many different devices including Roku, Apple TV, Boxee and Xboxes. However Netflix online streaming is yet to offer some of the new movies which the movie industry is reluctant to offer on streaming. YouTube now offers Movie Streaming, 400 Titles in already!